On Wednesday this week, the 2015 CAQH Index was released. The data show that many healthcare organizations are continuing to rely on manual administrative processes for basic transactions such as verifying patient coverage, submitting claims, prior authorization, and referral certification, even though these tasks can easily be performed electronically. The CAQH Index is released once a year and is a measure of the adoption of electronic transactions for routine business processes in the healthcare industry. The aim of the report is to raise awareness of the potential cost savings that can be made by switching to electronic HIPAA transactions. The data used for the CAQH Index in 2015 represents some 440 million transactions relating to 92 million patients. The reliance on manual processes rather than HIPAA electronic administrative transactions is costing the healthcare industry dearly. CAQH believes the continued reliance on resource-intensive manual processes is costing the healthcare industry $8 billion each year. Each time health plans and healthcare providers perform a manual transaction it is estimated to cost the organization around $2 more than the cost of conducting the process electronically. CAQH estimates suggest that if all healthcare providers were to use automated processes to check patient eligibility and benefits, this alone would result in savings of around $5 billion per year. Healthcare providers and health plans are continuing to transition to automated HIPAA transactions, but progress is slow and there is still some way to go. Some processes are now predominantly conducted electronically, but many processes are still being conducted manually even though automation is possible. 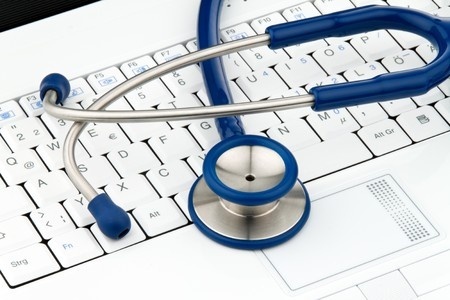 Healthcare organizations are now submitting 94% of claims electronically. The adoption of automated processes is also high for eligibility checks (70.5%) and benefit verification (61.4%); however, some processes are still being performed manually by the vast majority of healthcare organizations. Automated processes are only used for prior authorization by 10.2% of healthcare organizations, while only 6.2% of organizations use automated processes for referral certification. Around half of healthcare organizations were still using manual processes for benefits claims, claim status inquiries, and remittance advice. For the 2015 Index, CAQH included data from the dental industry. This was the first time dental transactions have been included in the Index. The data show adoption of automated transactions lags behind health plans and healthcare providers, with 30% fewer transactions being conducted electronically on average. The report suggests that government-led outreach, education programs, and the sharing of best practices by healthcare organizations could help to speed up transition to automated transactions.